oh you lucky people...designer number six! Not long to go now my craft loving friends. We've been showcasing a selection of the designer makers we've hand picked to participate in the Christmas Craft Guerrilla. Set in the William Morris Gallery the father of the Arts and Crafts movement would be tickled in seeing this explosion of quality contemporary craft in his child hood home! 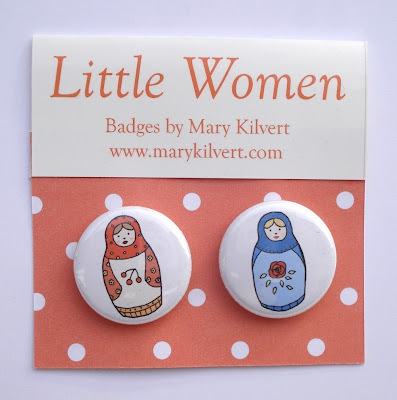 Mary Kilvert, a freelance illustrator. 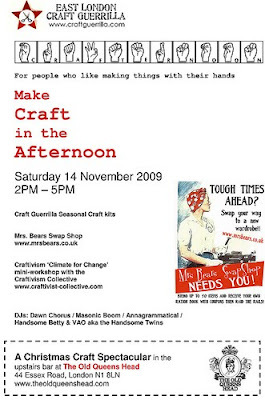 She's the talented lady that made our beautiful Craftea Poster for the Art Trail. 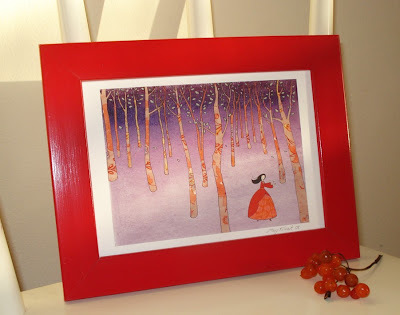 Her illustrations are a little slice of her imagination, her love of nature and fondness of patterns. 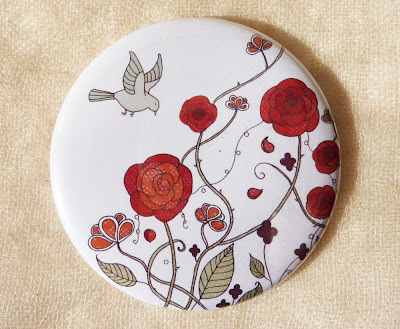 From paper goods,illustrations to badges and pocket mirrors we know you won't be able to resist. I know I'll be buying a few! Christmas can be stressful and expensive so why not get in some smart shopping? Second hand wares are the in thing. AND best of all I'm sure your Xmas present recipients won't receive anything like what you can find for them at this little ditty! Our web site provider is doing a little maintenance but we expect it to be back to normal real soon. 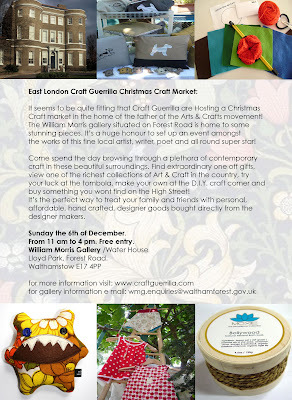 London’s hippest craft fair has Christmas shopping all sewn up with over 60 stalls selling handmade goods. 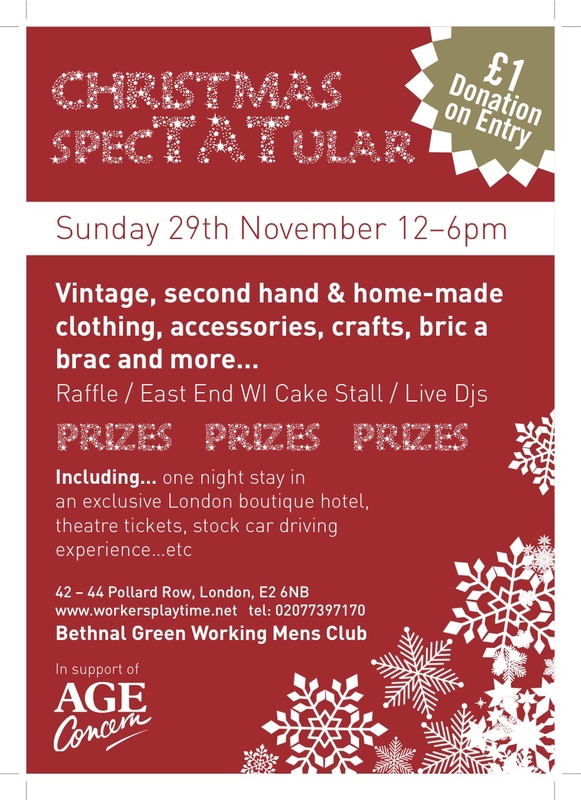 On December 12 you can shop, craft and make merry in Bethnal Green’s historic York Hall as New York-based women’s pop-culture magazine BUST hosts its popular shopping bonanza in London for the third time. Featuring the nations hottest craft talent! From jewellery and clothing to home décor and cards, the BUST magazine Christmas Craftacular is the one-stop shop for the handmade and the unique. Shoppers will also be able to craft up their own creations in the DIY Den (conveniently positioned next to the bar) or sit down to tea and cake, all the while listening to DJs, including cabaret-style queens The Broken Hearts. Entrance is £2 on the door, with free goodie bags going to the first 100 attendees. DJs include: The Broken Hearts, Pamflet, Sheila B, Ci-Ci and Killing Fantasy. 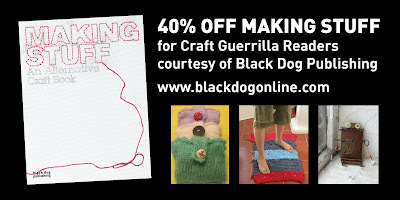 "MAKING STUFF" crafty discount for our readers! As you know we love making stuff! We've seen how popular our monthly events are and we too find it hard to resist making at every available chance. If you too can't quite get enough of craft and love making things on a daily basis this book will inspire and get you crafting. It's a great gift for a crafty friend,family member or even yourself. We all deserve a treat and there's nothing wrong in buying yourself something which will give you endless hours of creative pleasure! We can't wait to try our hand at some of the projects and letting you know how we find it! We'll be reviewing to book real soon. Happy reading and making fellow crafty people!!! oh you lucky people...designer number five! Fancy & Fondant are deliciously decadent hand made prints by Chloe Langlois and David Newton. 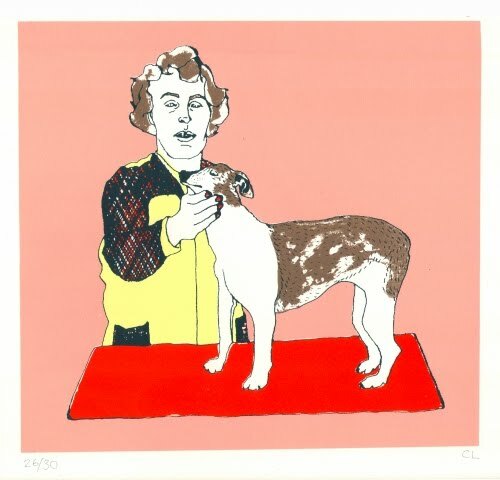 Beautiful screen printed cards and prints by this humorous and handsome duo. These lovelies are new to Craft Guerrilla. We hope you like all the talented new designers we've hand picked to exhibit at the Chrimbo Market. These lovely people are a great example of the talent we've got in store for you on the 6th! Saturday is Crafternoon and Gale Force winds won't keep us away!!! The November Crafternoon at the Old Queens Head sees us back upstairs in the gorgeous Victorian bar. Not only will there be all the usual Craft Guerrilla goodness of craft kits and tutors but we're bringing you the chance to swap your clothes with the amazing Mrs Bears Vintage Clothes Swap Shop so you can sort out your Christmas outfit as well as your Christmas presents! The Craftivism girls from the Craftivist Collective are also joining us for a "Climate for Change" mini workshop! 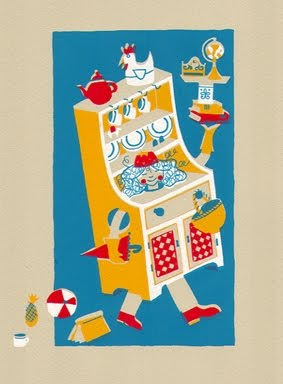 Not only are there clothes, craft and craftivism to help you look good, make good and feel good but the Craft Guerrilla DJs are back so that it all sounds good as well: Dawn Chorus / Masonic Boom / Annagrammatical / Handsome Betty and VAO aka the Handsome Twins. AND it's FREE ENTRY! Seasonal craft kits will be for sale for a small fee (usually around £5) which contain everything you need to make your item. Kits vary each month but examples include tattoo heart badges, needle-felted mice, crochet bobble chains to decorate Christmas trees or felted heart Christmas decorations. Thanks to all the gals that came yesterday armed with tees to harvest some yarn!Our knitting/crochet queen wasn't able to make it so...you were left with me! Unfortunately my crochet skills are very basic so my attempts of crocheting in the round were...not quite up to scratch. But as promised here is a link with a very simple tutorial. I have to say it's helped me immensely and I can now crochet in the round...hooray! But if you feel like you need a live tutorial come to our next E17 Craft Night at Ye Olde Rose & Crown on Thursday 10th of December and you'll have not one but two crochet experts to show you just how it's done! oh you lucky people...designer number three! I'm not sure how many Moxie perfumes I have now but I've lost count!They are all so yummy and special that I must have them all! 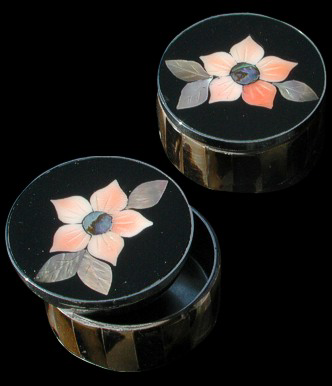 *CUE evil laugh* AND now she's made solid perfumes in keep sake boxes...OH the temptation! Hand blended using the finest ingredients this hand made company has been our top seller at the Craft Guerrilla summer markets. Cassie is an alchemist/dark fairy and has a rare talent! I'm so happy she'll be at the William Morris gallery...well I know it'll mean that I'll have to buy another scent which isn't a bad thing! Hmmmm...I'm sure she uses a cauldron to mix her perfumes! oh you lucky people...designer number two! I love Edwyn UK! 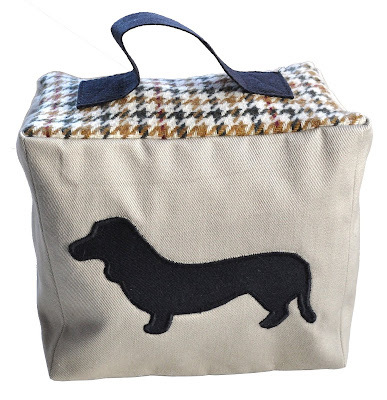 beautiful doggy inspired home wares made by Louise Brooker. 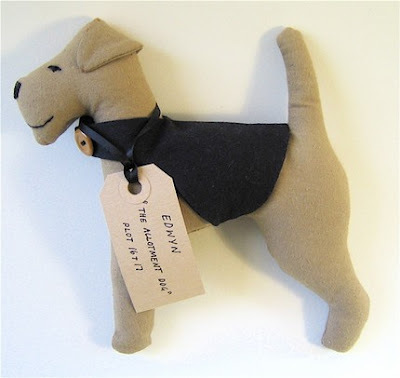 Not just a dog owner (Edwyn,I'm dying to meet you!) but also a talented designer maker based in sunny East London. 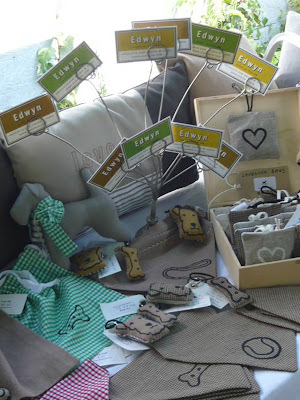 A huge hit at the Craft Guerrilla summer markets the return of Edwyn UK to our Chrimbo Market is very much an exciting one! Door stops, draft excluders,hand embroidered cushions,totes etc...All of it is so cute without being sickly!!! I usually struggle finding gifts for my dear old pop but I got him a cute key fob for his birthday and as a genuine dog aficionado he was very pleased. Come and meet Louise and see her beautiful hand crafted soft furnishings at the William Morris Gallery on the 6th of December! Twitt twoo...have a gorgeous hand made Christmas! Thank you to our new lovely friend Kate aka Little Doodles for her brilliant and "OH so cute you could almost eat them" little birds! We love her work. Have a look at her portfolio...I'm sure you'll fall in love. I quite like Howard! Like him I too dream of Custard Creams!!! Here's a sneaky peek at what we have in store for you! 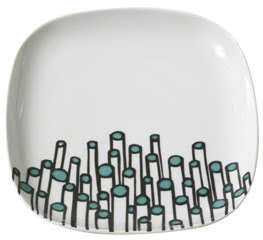 Delectable, affordable and OH SO original contemporary craft direct from the designer makers. Where? William Morris Gallery When? 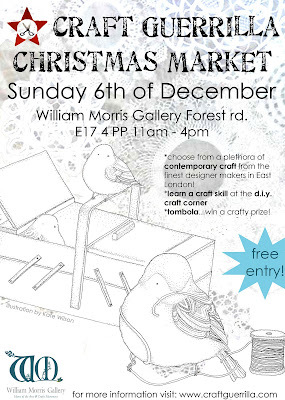 6th of December...at the Craft Guerrilla Christmas Market of course! 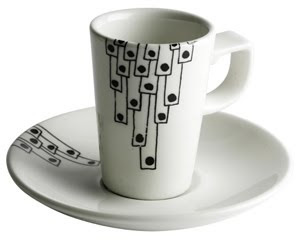 Walthamstow based ceramicist extraordinaire! Soft furnishings and prints are a lovely extra to this talented ladies offerings. Sunday 6th of December. William Morris Gallery, Forest Road, Walthamstow. From 11am - 4pm. Free entry! We're absolutely honoured to host this years Xmas Craft Guerrilla Market in the home of one of the founding fathers of the Arts & Crafts Movement! The Water House, William Morris birth place,houses one of the most comprehensive collections of works by the artist. Here's the perfect opportunity to visit this beautiful venue and support your local community! As a craft collective we feel very passionately about William Morris and his life work. We see our selves as modern day "Craftalites"! We've chosen the cream of the crop and personally selected a few of our favourite designer makers from jewellers,fashion designers, ceramicists, perfumers, artists and loads more! 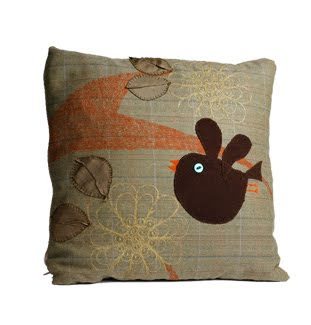 We think we've got it sorted and found some delightful hand made items that will make any Christmas extra special. But it's not all about buying we're also providing a D.I.Y. craft corner so people can sit,make their own and learn a craft skill. A CHOIR will be performing in front of the gallery welcoming visitors as they come in to the gallery with festive tunes to get shoppers into the mood (yet to be confirmed). The CRAFT GUERRILLA TOMBOLA will also be making another outing! In aid of the William Morris gallery we will be raffling off lots of delectable hand made goodies kindly donated by our gorgeous designer makers. Apart from being super talented this lot is also very generous. At £1 a go you really can't lose! SO here is our press release so you can help us get the word out! Please let everyone you know about this great event...not just a craft market but also you'll be helping out this fantastic local gallery in need of much support!